How to find cheap, safe & delicious food anywhere in the world. After years of travel, I am very excited to share my big project: a book about food. Specifically, about how to find cheap, safe and delicious food anywhere in the world. Note: for readers looking for resources about food, books to read and what to pack if you want to travel the world and stuff your face as much as possible, please click on my Resources for Food Lovers page. 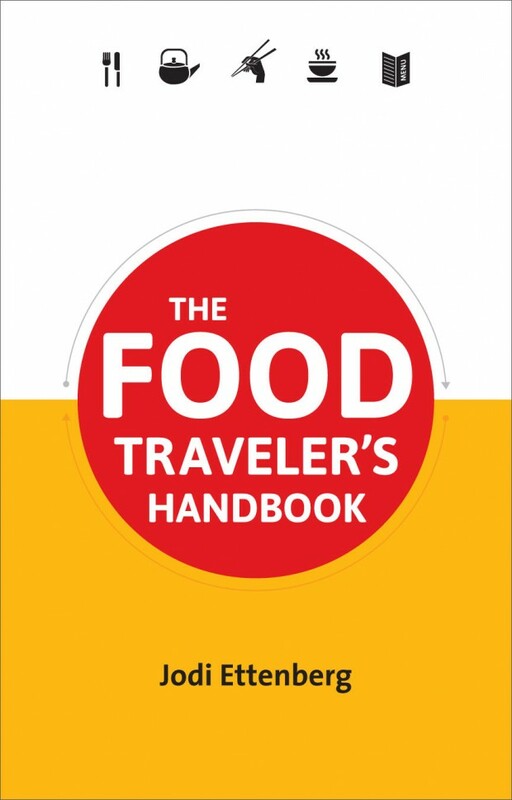 Why did I write the Food Traveler’s Handbook? I grew up in a household that was not focused on food. We ate – did we ever! – but spicy foods and creative cooking were not part of my childhood. It was only when I started traveling that I realized how varied foods around the world could be. Each region had a distinct way of cooking and spicing, and a geographic food footprint to call its own. Discovering food by eating it abroad went far beyond the international restaurants I sampled growing up in Montreal and later while working as a lawyer in New York. I traveled for shorter periods on vacations from my law firm, but I wanted to see more. Once I had saved up enough funds to quit for a year of travel, I left New York to see the world for myself. That one year morphed into two, then three and now almost four-and-a-half years. As I traveled, my journey shifted perceptibly from a focus on places and people, to a focus on those places and people through their food. When I left New York, I started this website, Legal Nomads, to chronicle my misadventures and keep my friends and family apprised of my whereabouts. Over the years I’ve been thrilled to see it grew into its own, with a passionate community of readers who also love to experience the world. And they love their food. As I continued to focus more and more on the anthropology of what we eat (and why we eat it), and the idea of a food book took form. I received emails from worried travelers who wanted to eat at street stalls but feared becoming ill. At the same time, I found myself encouraging others who did not focus on food to use eating as a guide, a way of understanding a new place. The Food Traveler’s Handbook explores both of these sentiments. It addresses why food matters and how travelers can explore the world through the many ingredients we find on our plates. It also tackles very valid safety concerns, from sourcing fresh eats to finding market stalls that serve hygienic meals. The book focuses primarily on cheaper food in developing countries, but its principles and tips can be applied worldwide. Thanks to my friend Monica, I’m able to share a short video trailer about the book and more of my motivation in writing it. You can view the full table of contents as well as a sample chapter from the book, called “Why Focus on Food When you Travel” here. I’ve rounded up some recent press for the food book here. Thank you for all the great feedback and reviews!